Finally! With the Beacon plugin you can now use Wordpress to create a content marketing eBook that looks great and helps you to grow your mailing list. This is the first official product integration that we have launched. Since most of our users are already working with WordPress we thought this was the perfect opportunity to combine the Beacon functionality with the power of the WordPress platform. 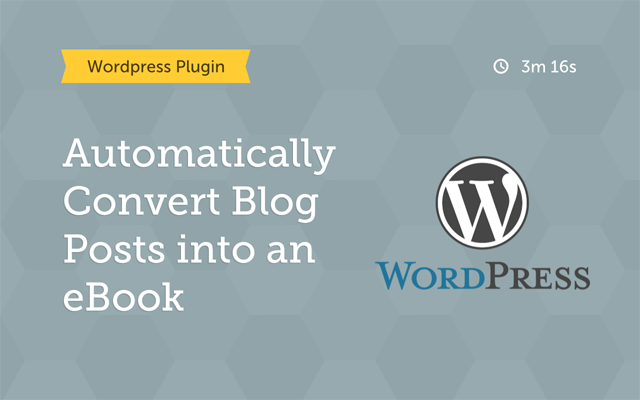 The plugin allows you to convert popular blog posts into a beautiful, interactive eBook in just a few seconds. It’s a great way to get renewed value out of legacy content that might be buried beneath more recent posts. No WordPress site is complete without a widget to capture email addresses. Since visitors are more likely to subscribe to your list if you offer them an incentive, your newly generated eBook is the perfect way to encourage those sign ups. This entry was posted in Beacon, Content Marketing, Wordpress. Bookmark the permalink.